The world of intellectual property services and management is complicated and difficult to navigate on your own. There are many variables to consider, potential infringement to monitor and patent monetization opportunities to pursue. Without the expert support, your efforts might yield little return – or worse, a courtroom decision might leave your company or client in financial ruin. Whether you are a lawyer looking for robust patent litigation support, a business leader searching for a custom patent monetization strategy or an investor seeking seasoned patent licensing advice, the patent experts at TechPats are your intellectual property consulting experts. Read below to discover the specific ways TechPats helps you with IP support services and consulting. Build a more calculated patent portfolio that encompasses your corporate strategy and market direction with our portfolio management, strategic patenting approach, and patent licensing services. Our efforts have yielded patent programs that have generated hundreds of millions in IP revenue. With our portfolio assessment services, we use industry experts (and not just automated tools) to determine which strong patent assets you should develop and which weak patent assets you should abandon. Determine which patent monetization opportunities are worth pursuing (including in other industries) with comprehensive portfolio evaluation and rating services. 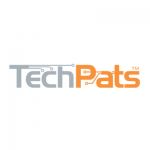 Using our unique iPatents™ software, the experts at TechPats help you identify specific licensing targets and prepare robust Evidence of Use (EoU) and claim charts to aid your counsel in asserting your patents and generating revenue. If your corporation is preparing for a merger or acquisition, TechPats’ due diligence service helps you review your target’s patent portfolio and gives you an objective look at its monetization potential. We’ve reviewed thousands of patent portfolios and know exactly what assets to identify for your due diligence efforts. Do not enter the courtroom unprepared: Rely on us to provide your client with an array of litigation support services, including infringement analysis, invalidity analysis, expert reports, teardown and reverse engineering, expert witness and claim chart development. After identifying your clients’ best assets and opportunities for patent monetization – in both their industry and other sectors – we help you pinpoint and qualify precise targets for assertion and licensing opportunities. From there, our Evidence of Use and claim charts help you generate revenue and assert patents for your clients. If your client is still early in the legal process, TechPats helps you build a stronger patent portfolio by considering client strategy and utilizing our patent mining and acquisition services, along with a strategic patenting approach. Create a stronger portfolio of patents that matches your business strategy by taking advantage of our strategic patenting services and patent mining methods. Past “hidden gems” have revealed patents worth hundreds of millions. Working with your internal counsel and external legal team, we search for patents that allow for a cross-licensing strategy with your competitor’s threats. Using our industry experts and proprietary iPatents™ system, we mine patents from patent aggregators and the general market, and then help you acquire those assets. Your patent portfolio should be consistently reviewed to ensure that it is yielding the revenue you are looking for. With our portfolio assessment services, we carefully ascertain which of your patent assets show the most promise for monetization and which weak patents should be sold or abandoned. Working alongside inventors and creative thinkers, we predict the direction of future technology for your given investment area. Then, we help you generate robust invention disclosures that have the potential to be mined for claims in a multitude of next generations. As an investor, watching your claim charts grow along with a set of freshly filed claims is an assuring sight. We help you achieve this level of results by developing claims and disclosures that consistently capture near-term valuable technologies. Secure a realistic look into the value of a broker’s portfolio with our IP portfolio review services. We quickly and manually research a portfolio’s claim charts, financial impact, and any available marketing materials to provide you with the most reliable recommendation for completing or disregarding a portfolio purchase. Click the menus above to learn more about how TechPats specifically helps your business or clients with patent licensing, intellectual property consulting or patent litigation support.